Journey to a land of wonder, friendship and enchantment with your favorite prehistoric pals in The Land Before Time: The Complete Collection featuring all 14 amazing animated adventures! 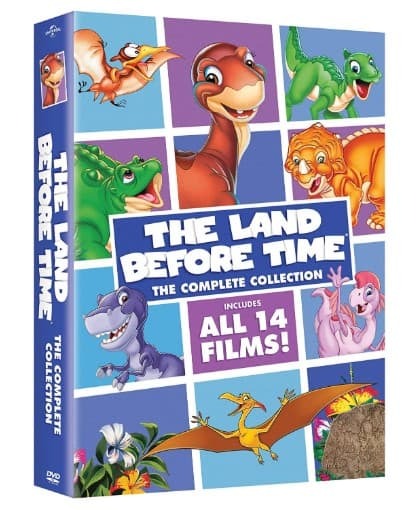 In today’s Amazon deal of the day for 4/15, you can score The Land Before Time: The Complete DVD Collection for only $16.99 (Reg Price $60). Get FREE Shipping on orders over $25.00 or with Amazon Prime Orders.